From the number one international best-selling author of Holy Island and Seven Bridges. DCI Ryan is thousands of miles away. He’s tracked a killer across Europe and has sworn not to return until he has his man in custody. 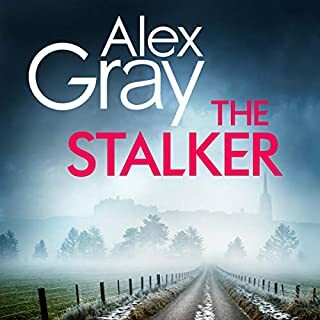 Nathan Armstrong is a dangerous psychopath, but there’s just one problem - he’s also an international celebrity: a world-famous thriller writer with money and connections. Ryan is a stranger in a foreign land, but he knows one thing - he’ll never give up. 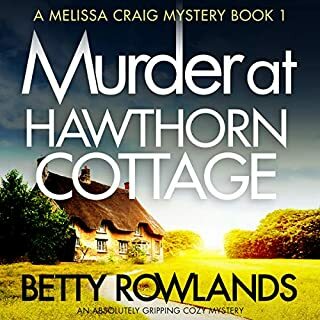 Murder and mystery are peppered with romance and humour in this fast-paced crime whodunnit set amidst the spectacular landscapes of Northumberland and Tuscany. I love the DCI Ryan series, this one no exception. The story was good and there is lots of suspense in it. Always love the endings. Please never stop, really wish they would make a TV series of them. Excellent naration. DCI Ryan never fails to entertain.. 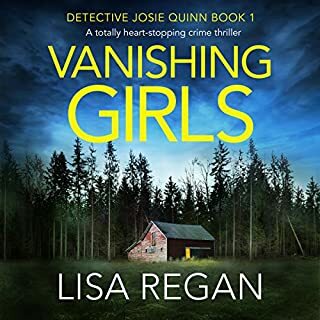 I absolutely love DCI Ryan, his wife Anna and their best friends Frank Phillips and Denise MacKenzie (now Denise Phillips.) 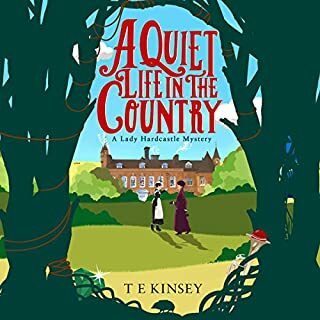 And I love the way the awesome narrator Jonathan Keeble continues to give everyone their own special voice so that you know who’s talking without the book telling you, after this 9th book all the main characters still sound exactly the same. And this was a great story. 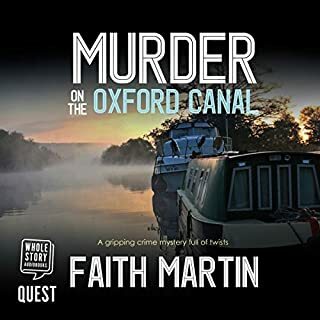 All about Nathan Armstrong, the killer that got away once, but not this time, Ryan, Anna, Phillips and MacKenzie followed Armstrong all the way to Italy and back again to England, but they finally caught him red-handed. He got exactly what he deserved for the lives he ruined and the innocents he killed. There is no swearing and nothing more than a kiss in these books. As to the narration: Simply awesome! Ryan and Anna head off to Italy in pursuit of an old adversary, who is seemingly up to his old tricks. Soon, Mackenzie and the lovable Philips join them, but it becomes clear that things are not as they appear to be. A vengeful, twisty, full on pursuit in true DCI Ryan style. Some great, amusing moments with the interaction between the soon-to-be married Mackenzie and Philips. I just love how LJ Ross makes Philips so very lovable! 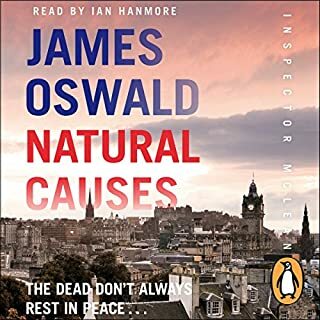 Superbly narrated by Jonathan Keeble once again. The Ryan books are such an enjoyable series, and I thoroughly recommend enjoying them in order. 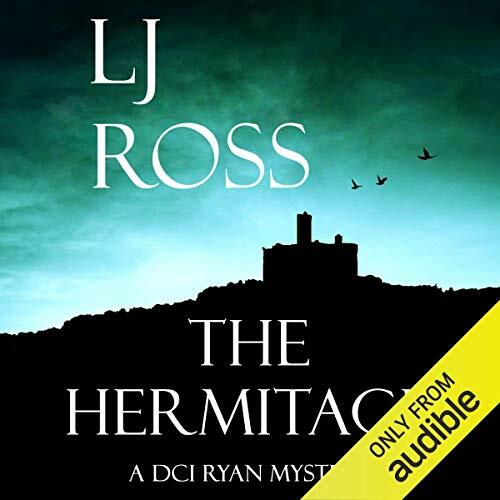 The Hermitage by LJ Ross immediately pulled me into the story. 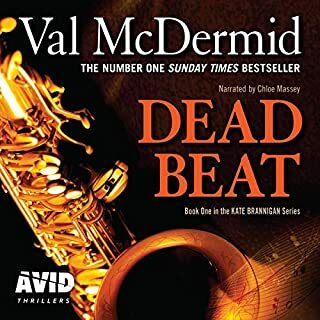 I love it when one can listen to a book that is part of a series and be fully immersed in the book without feeling lost for not having listened to the others in the series. The author writes great imagery and details, that one can envision so much. Jonathan Keeble was fantastic bringing the characters to life. He had distinguishable voices for the various characters. I loved the twists in this book too. I requested this review copy audiobook and have voluntarily written this review. I will most definitely listen to more books by this author and narrator. I’ve got all of this series and have thoroughly enjoyed each. The Hermitage is no except. Jonathan Keeble gives life to each character superbly. 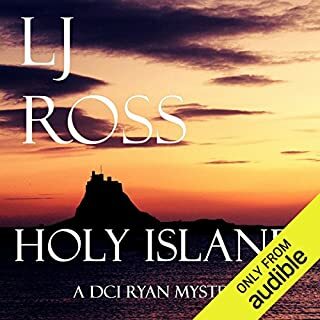 His wonderful skill gives an individual voice to each, supporting L. J. Ross’ skill as a talented author perfectly. Her characters have depth, dimension and life. This story takes us to Italy, pursuing an old adversary. The twists in the plot engaged me throughout. I thoroughly recommend the book and the series. 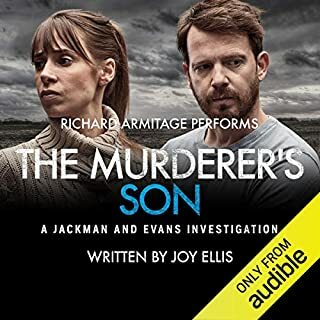 This book sees Ryan pursuing an old adversary with Anna by his side in Florence while Phillips, MacKenzie and the rest of the team try to solve the murder of a reclusive boatman in Warkworth, though Phillips and MacKenzie eventually join Ryan in Florence. Whilst Ms Ross describes Florence beautifully I still missed the beautiful Northumberland locations which we are so used to in the Ryan books. In this book we get to learn a little more about Ryan’s upbringing when he and Anna stay at his parents sumptuous Italian villa. I loved Magda, the housekeeper, and would like to hear more of her back story. But the hero of this book is definitely Frank Phillips, and the final scenes made me shed a few happy tears. 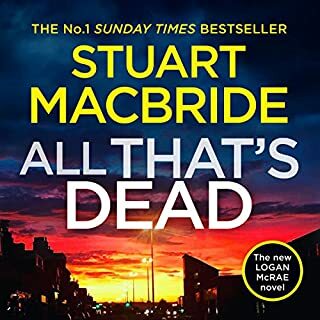 The story moves at a cracking pace and had me on the edge of my seat and ties up some loose ends from previous books very nicely. As always Jonathan Keeble was an amazing narrator. His narration is spot on and he does all the different accents perfectly. 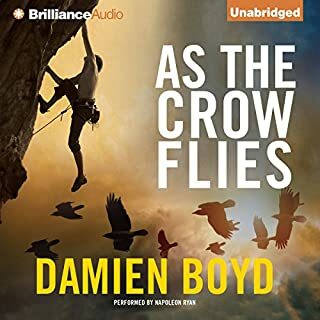 Definitely one of my favourite narrators. 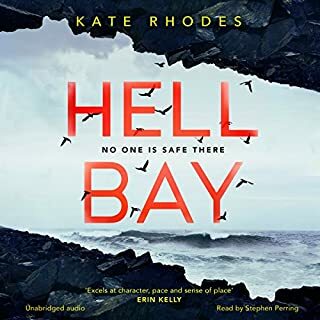 The narration by Jonathan Keeble, excellent as always, could not redeem the gosh awful plot with its to-ing and fro-ing between locations, cardboard characters and tacked on surprise wedding; hard to believe the book was written by the same author who conjured up Holy Island and Heavenfield. 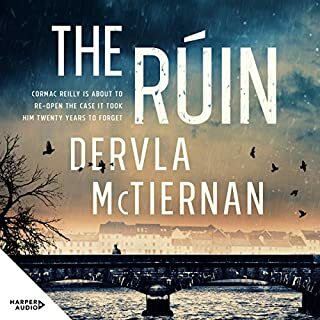 There is nothing to dislike about these stories they get you going through all emotions, fear, suspicion, laughed and relief when resolution finally comes. Make a great film or TV series. Thank you. The north east moves abroad. 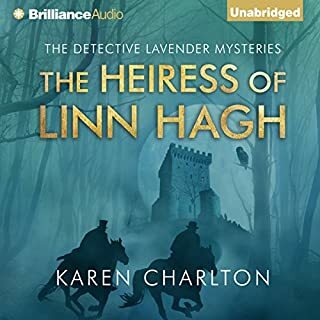 I’ve read and listened to several of this author’s books/audiobooks and enjoyed them all. I’ve listened out of order and this hasn’t affected my long term view on continuing this relationship. What really nails this for me in the narrator, Jonathan Keeble. 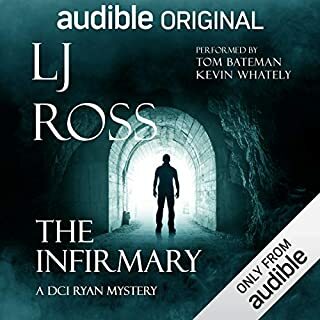 His voice matches the writing, the atmosphere, the area and the characters that even when I read a Ross book, I think of the voice of the audio books. 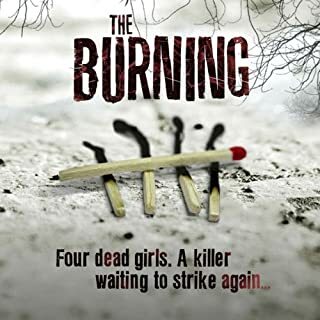 A trip away from the north east to Italy makes a change from previous stories, the DI and his team appear well within their skill sets to search out the killer. The team is not always friendly to each other and I wonder what caused this in some of the books I haven’t read or listened to yet. I thoroughly recommend this writer, this narrator and this book. 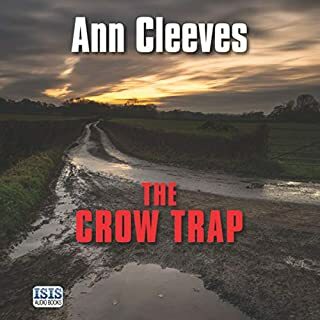 Even though I received a free copy my review is just the same and if the twists and turns in this story continue, then I’ll be buying several more in the series to plug those gaps. A great story set in a beautiful location. The characters are richly drawn and there’s a good twist near the end. Would make a fabulous film.